When you are looking for a baseball tournament for your team you need to do your homework. Not all tournaments deliver the same experience or competition. My son's travel baseball team was suppose to play in the CABA World Series in Nashville, Tennessee this week. Unfortunately, several of the players on the team had football conflicts, so the team decided to go to the Nations Baseball U14 Elite World Series in Penscola, Florida instead. The Nations tournament was scheduled one week earlier than the CABA World Series. "The first ever Premier National Tournament was a great experience for my son, but it is not an premier event quite yet. I do have faith that Nations baseball will eventually get it right. This year (2011) they got the baseball facility right and the host city (Gulfport Mississippi) is great. They just need to attract more and better teams to justify the "National Championship" status." So fast-forward to 2012. Did Nations Baseball listen? 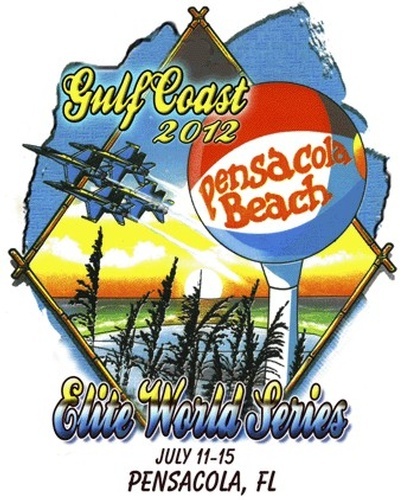 The 2012 U14 CABA World Series, which dubs itself "the greatest show on dirt", attracted 31 teams from 15 States. In contrast, the Nations Baseball Tournament attracted 4 teams from 3 states. There were three very strong baseball teams competing in the event and one local team that got run ruled in every game. The local team had players on the team who had never played on a 90 foot diamond before. They were a nice bunch of kids, but they were totally out classed. I talked to one of the moms from that team who told me that Nations gave them a free spot so they took it for the experience of playing on the bigger fields. The so called "World Series" was literally a round robin tournament between 3 teams. Not three teams from US, Japan and the Dominican Republic - no - three teams from Florida, Texas and Ohio. It turned out to be fantastic baseball with some outstanding pitching on a really cool field, but it did not live up to World Series or National Championship status again. Last year, I had faith that Nations Baseball would eventually get it right. I lost that faith after hearing what the Nations Baseball Tournament Director had to say. Ten families from Ohio each spent about $1700 on lodging, $500 in food and $340 in gas to participate in a tournament. The team paid a $700 tournament fee. The team spent about $26,000 in total to participate in the event. This is a lot of money for strapped families in this economy. When we got to the stadium where the event was being held, Nations Baseball wanted another $25 per person for an entry fee ($7 per day per person or $25 for a 4 day event pass). My wife, my daughter and I went to the stadium to watch the action, so we were charged $75 to watch this four team - poor excuse for a tournament. Gate fees are common at these tournaments, but you would think that because it was so poorly run they would give us a break. Many complained, so Nations made 8 and under free. My daughter is 11, so I paid the $75. Several parents from our team approached the Nations Tournament Director to express their disappointment regarding the entry fee and the quality of the tournament that was promoted as a "World Series". First of all, the team felt lied to. One week prior to the event, Nations communicated that 6 teams were paid and two more would be confirmed before the event. Eight teams does not make a "World Series, but it is better than three elite teams and a rec team. He told the group that he could not help it that two teams backed out at the last minute to play in the USSSA tournament 16 miles away in Orange Beach Alabama. Upon hearing that, one of the parents concluded that it makes even more sense that Nations not charge us to get into this event since Nations collected money from teams not here and umpire expenses with fewer games played would be lower. The Nations representative said that he refunded the money to the teams that backed out. What $#!@$#? - there is no penalty for pulling out of a tournament at the last minute. That is a big problem. The Tournament Director then whined to the group that he has to charge the entry fee because the tournament has lots of expenses. The tournament consisted 5 age groups. There were tournaments for 6U (4 teams), 10U (6 teams), 11U (4 teams), 13U (6 teams) and 14U (4 teams) in the event. Each tournament had 12 slots available, so each and every age group had trouble attracting teams. This clearly suggests that Nations Baseball is having trouble competing in a very competitive category against CABA, USSSA and Ripken, etc. I paid entry fee money and went into the stadium. Several of the parents refused to pay and just watched through the outfield fence. I was up close to the action when my son's team won the event. It was not a hollow victory because the two other strong teams made the tournament very competitive, but we are not running around calling ourselves World Champs or even National Champs. Finally, Pensacola is a great place for a tournament. In the next couple of posts, I will provide tips for baseball families regarding lodging, eating and having fun in the Pensacola area. That is horrible to travel all that way for a "4 team World Series". My sons 15U Team just got through playing in the Perfect Game 15U BCS Championship in Fort Myers, Fl. First class all the way. I have no problem with the cost of attending that tournament(just with the way the team played the last game).The boys put too much into their baseball training to have to play in bad tournaments. We had a great vacation - and happened to see some good baseball. That is the way we looked at it after it was all said and done. Very stander article as well as pic, never i watching this type of content that you have posted in this web site. Usually i am very surprised to get it. I may come to you to know more details about this. Thanks a lot fore giving this discussion. Thanks for the report! I will be waiting for the tips for baseball families regarding lodging, eating and having fun. They must be interesting.